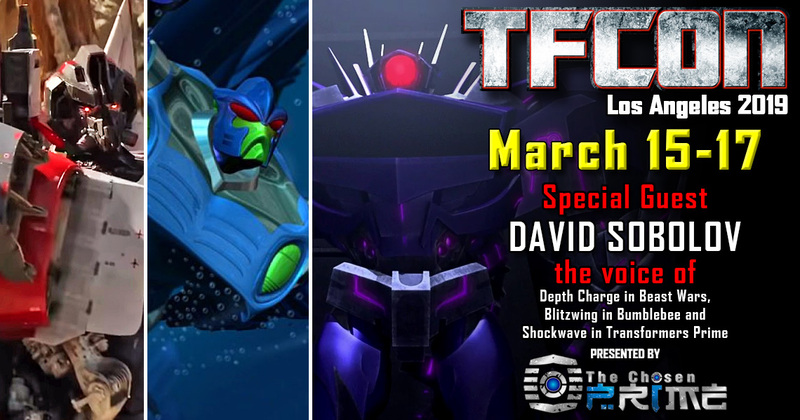 TFcon is very happy to announce David Sobolov the voice of Blitzwing in the Bumblebee Movie, Depth Charge in Beast Wars and Shockwave in Transformers Prime will be joining TFcon Los Angeles 2019 for his first ever TFcon. David will be taking part in autograph sessions with the attendees of America’s largest fan-run Transformers convention on the Saturday of the convention. Please check the TFcon website for the full guest signing schedule prior to the event for exact times. David Sobolov is presented by The Chosen Prime.